has a great end of summer birthday card for you today. 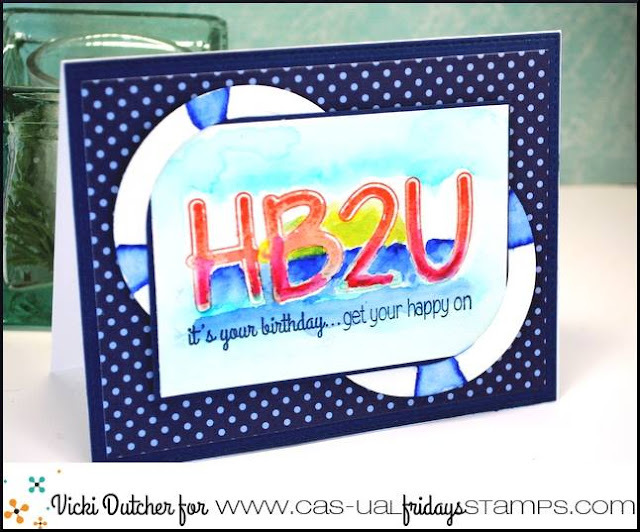 I love the beachy theme she created by watercoloring the horizon as a background. The big letter sentiment bleeds into the horizon and then a crisp sentiment under.